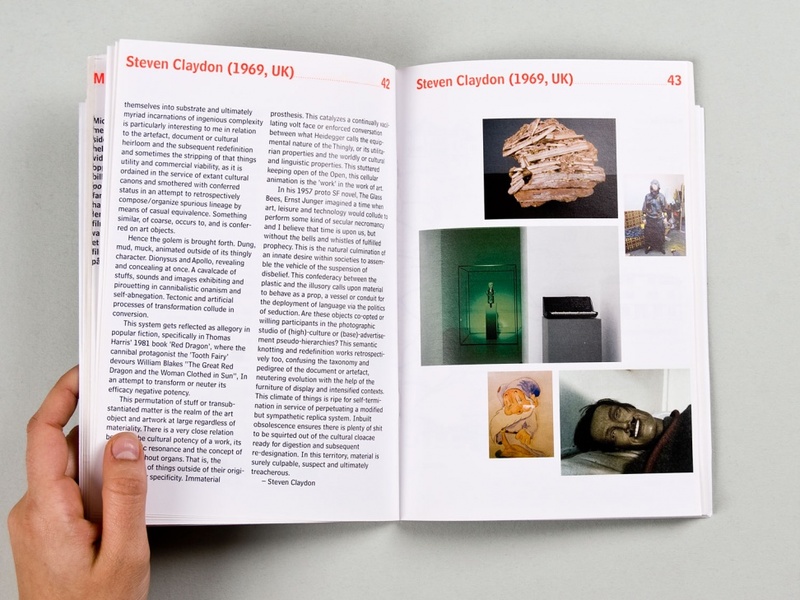 NODE is a Berlin and Oslo based design studio. 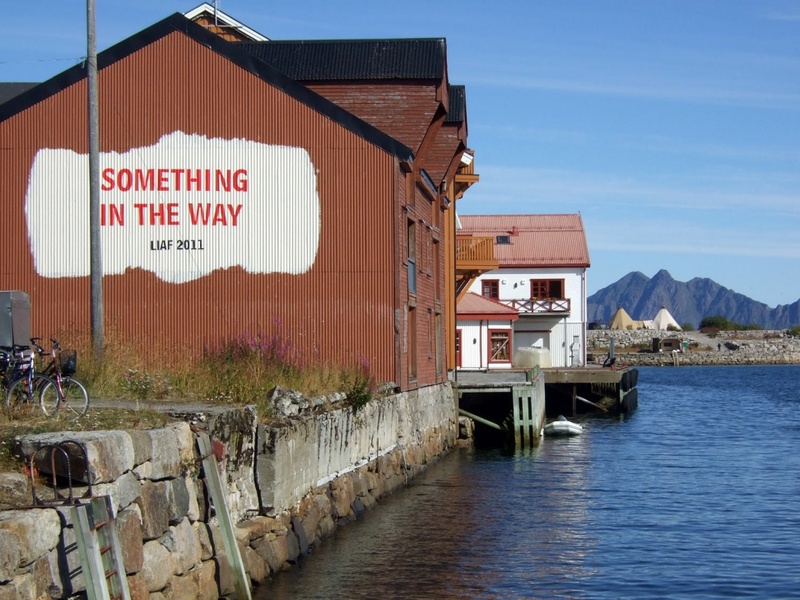 LIAF (Lofoten International Art Festival) is currently Norway’s only international art festival, and the one with the longest running history, dating back to 1991. The festival had previously taken place in Svolvær, but in 2011, it was moved to Kabelvåg, where some 1,700 of Lofoten’s 24,000 inhabitants reside. 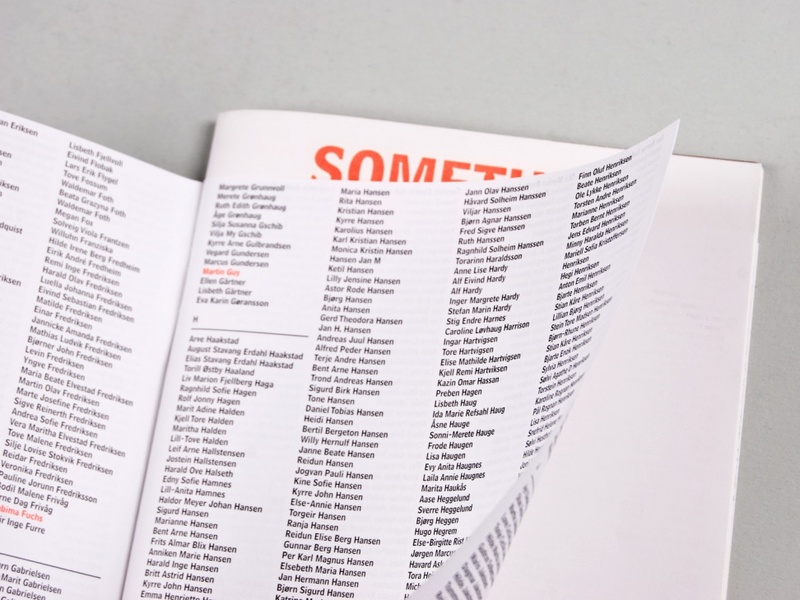 The 2011 festival was entitled Something in the Way and was curated by Thora Dolven Balke and Linn Pedersen. An international art festival taking place in a town of only 1,700 inhabitants creates a unique and somewhat unpredictable outcome. 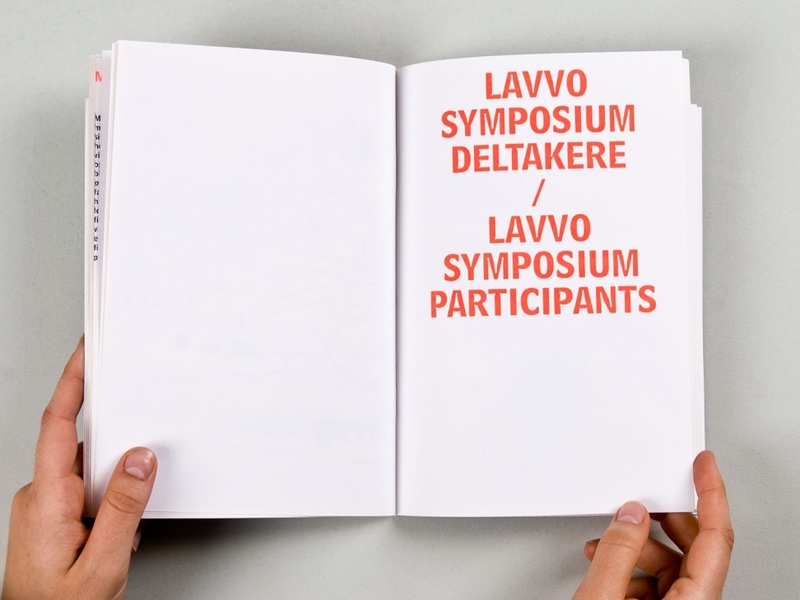 Much in the same way that the festival influences the town, the people living in Kabelvåg take part in shaping the festival and the overall result is determined by both factors. 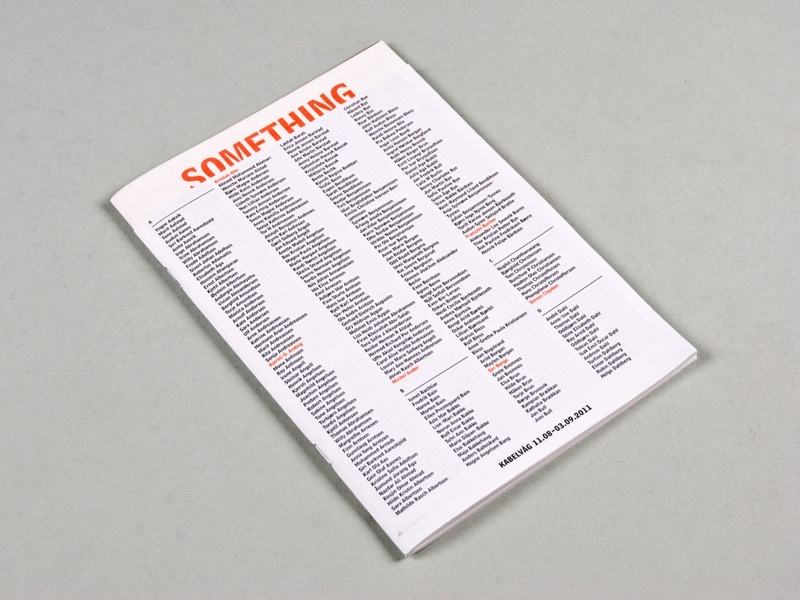 We chose this as a point of departure when developing the identity for Something in the Way. Rather than announcing the festival by merely mentioning the artists, we decided to also list the entire population of Kabelvåg. 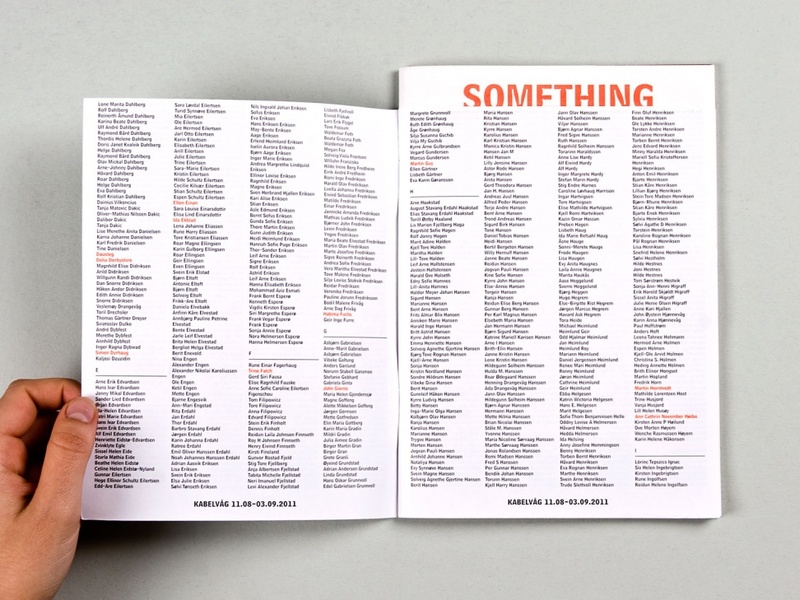 Our design solution was a list of all of the 1,700 inhabitants, as well as the 27 artists, sorted in alphabetical order. This design was used for the posters and the catalogue cover. 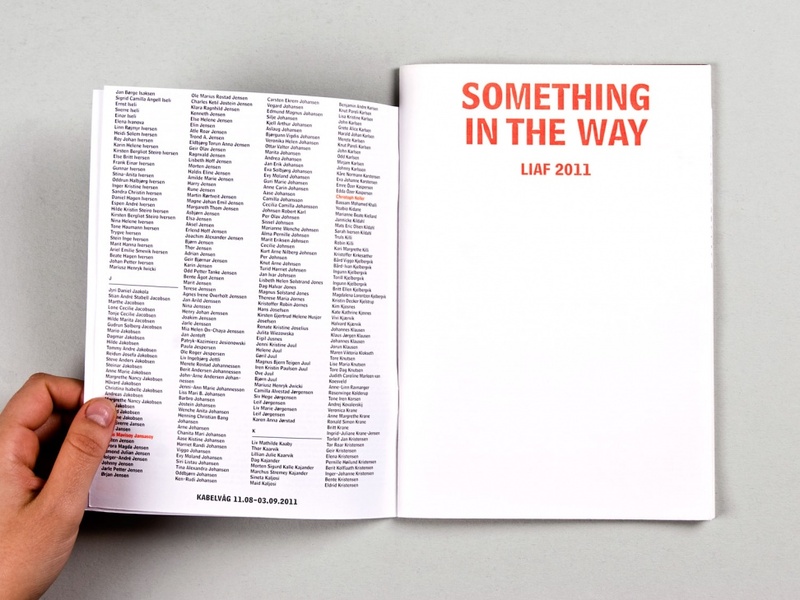 The typeface used as the basis for the LIAF 2011 identity was Bell Centennial, a font originally commissioned by AT&T to be used for their telephone directories. This typeface is designed to fit many characters per line without loss of legibility, and to be printed in small point sizes. We used it both for the directory listing and in larger point sizes – even painting it on a wall – in which case the type displays some attractively awkward qualities.